CrossFit iQ - Athlete Spotlight - Yo & Victoria from CrossFit iQ on Vimeo. Send us a message or just stop on by! One day someone at work mentioned CrossFit, and talked about it like he was talking about a really special thing... Curious I went home and googled it... it was love at first sight!!! I had no idea how I would do any of those things, but I knew I had to try it. I spent a month looking up all the CrossFits in my area... watching people's transformation video and thinking: " Can I do that?" 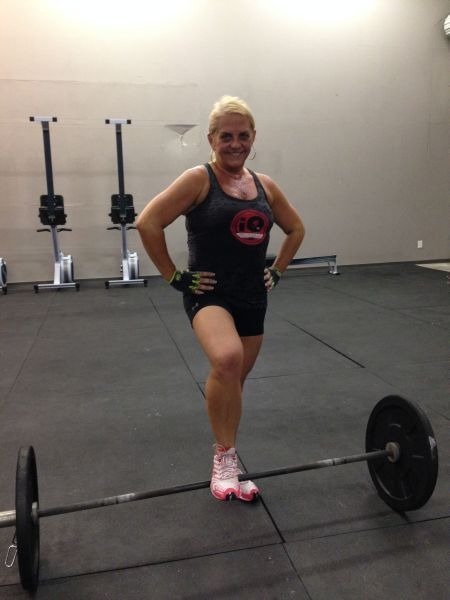 I remember watching the transformation video's from CrossFit iQ's website and being amazed by people's testimony, but one in particular caught my attention; Yosgely and Victoria... I remember going to a few places to checkout their program... then I remember going to iQ on a Saturday morning and being completely taken my the WOD of that morning. To my surprise Yosgely and Victoria were there, Q was really busy with the class, so Yo came and talked to me... I told her that I had watched her video and that she had inspired me to come and try...but deep inside I was terrified to even try... Yo was wonderful, she explained to me how things were, she grabbed her phone and showed me pictures of her before and now...then she assured me that I was going to be able to do all the crazy things that I was watching people doing that morning... When Q came over to talk to me he heard what I had to say and just said one thing: Give me 4 months of your life... I was completely sold by then. One would think that I would never come back there... and here I was thinking: "OMG I love this! I want to come back tomorrow!!!" And I have been coming back for the last 4 months...there is no explanation for what I feel other than a healthy obsession. CrossFit changed my life, it changed the way I see fitness, CrossFit iQ is becoming my second home and I just loooove it!